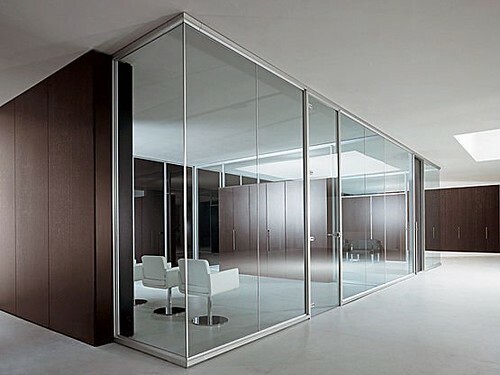 Glass partitions are a common feature in homes, offices and shops around the world because of their style and huge number of benefits. 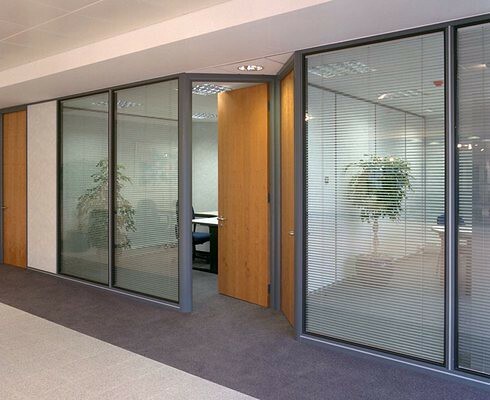 There are a number of styles available when it comes to glass partitions including those that move, stationery partitions, framed or frame-less partitions, a mixture of plasterboard and glass walls and even coloured glass partitions. Glass partitions have risen dramatically in popularity over the last few years because of their stylish, sleek and clean appearance along with the many benefits that they bring to the table, including the creation of space and natural light. They also make the office environment much more appealing for both staff and visitors by creating a professional look and feel. 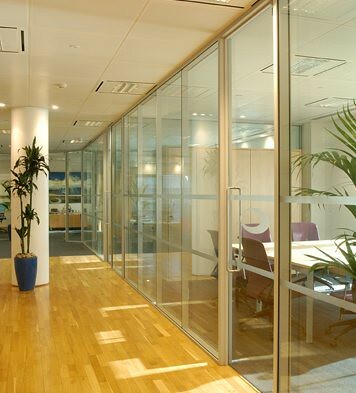 Firstly, glass partitions maximise any natural light that enters the room. The fact that glass partitions enable natural light to be dispersed properly also means that the company can save money on energy bills throughout the lighter months of the year. Glass partitions create a professional environment which increases productivity and also presents clients with a great first impression. Glass partition walls are also really cost effective – not only for the fact that they save you money on your energy bills. The fact that they completely transform any given space means that office rearrangement is easy and it doesn’t require any huge costs. Glass partitions can be quickly and easily erected and they separate a big office space immediately without taking away the community feel of the office. The fact that no building work is required will also save loads. Privacy is a huge advantage of glass partitions in an office as although everyone is still in one room, the partitions create separate smaller offices for individual teams. This means that team meetings can take place without being overheard by the rest of the office and general chit chat between colleagues doesn’t have to be off putting for other staff. 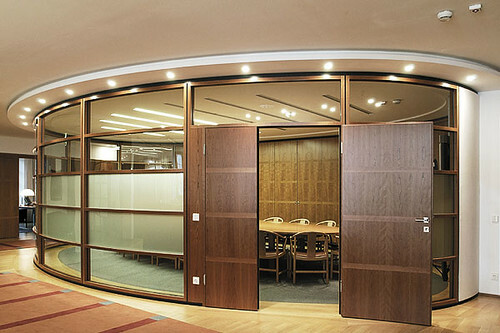 If there are certain rooms that will be used specifically for meetings that tinted, frosted or coloured glass is a great way to keep them private. As you can see there are so many advantages to having glass partitions in an office; they create space, light and a professional atmosphere. It’s important though, that you get the advice of a professional if you’re considering having glass partitions fitted in your office to make sure that they are the best choice for your space and budget. Susie Cooper explains the benefits of glass partitions on behalf of monowa.co.uk.